We are still red tide free in Clearwater beach and still have no sign of it from Clearwater, FL to Tarpon Springs. 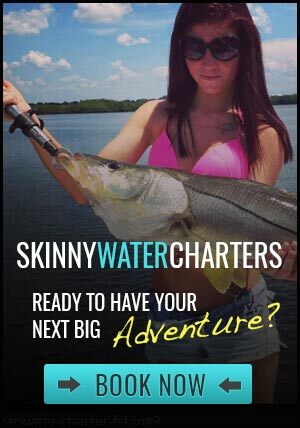 With beautiful weather and great fishing it’s time to book your trip with Skinny Water Charters! The water has maintained mid to low 70s with the recent fronts. Bait has been plentiful, with scaled sardines, threadfin, shad, ladyfish and blue runners. The nearshore is still on fire with Spanish Mackerel, and their big brother, the King Mackerel. Gag grouper have moved into the shallow nearshore ledges in 18 to 25 ft of water. Trolling stretch 20 and 25+ plugs is a fun way to catch these bottom dwellers. With Red-Tide out of the picture, where should you be casting and what’s biting? The back water bite has been getting better. 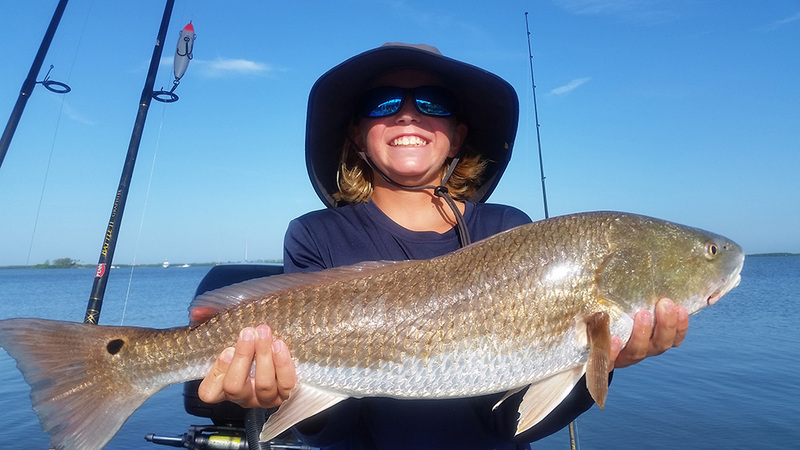 Redfish are getting to be in good numbers with the cooler water. For the artificial enthusiast, topwater bite will help you locate these bruisers, as well as Speckled Trout. These fish will often be together with the mullet schools. With the extreme low tides, you can find the Reds tailing on scattered turtle grass or around pot holes. For these conditions, live shrimp, cutbait and soft plastics will be your ideal baits. Clearwater remains Red-Tide FREE for the Holiday’s! 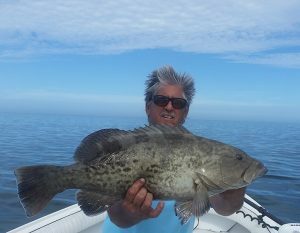 Triple tails have been on the crab pot buoys. Cruising down the crab trap lines is the best way to locate them, once you find one drop your trolling motor work back to the buoys. Bait of choice is small shrimp or white bait under a Cajun Thunder.